Over 30,000 people are diagnosed with oral cancer each year. 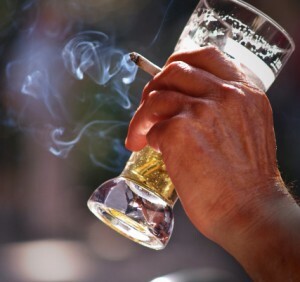 It is more common among men than women, and risk factors include excessive tobacco use, alcohol use and sun exposure. About 20 -30% of head and neck cancers have been linked to HPV (human papillomavirus) infections. HPV involves a type of oral cancer that attacks the back of the tongue and the tonsils. Oral cancer can form anywhere in or around the mouth, on the lips, inside the cheeks, on the gums, on the tongue, on the roof of the mouth, or on the surfaces underneath the tongue. As with any cancer, early detection is vital. Make an appointment with Dr. Latner at Westside Dental Associates today for your oral cancer screening. Westside Dental Associates serves patients throughout West Los Angeles and surrounding areas including Brentwood, Santa Monica, Venice, Beverly Hills, Marina del Rey, Rancho Park and Mar Vista. Checking for oral cancer is a part of the routine semi-annual dental checkup. An oral cancer diagnosis involves a physical exam, a CT scan, and a biopsy. Successful treatment outcomes depend upon how early it is detected. Make an appointment with Dr. Latner at Westside Dental Associates today for your routine oral cancer screening. Westside Dental Associates serve patients throughout West Los Angeles and surrounding areas including Brentwood, Santa Monica, Venice, Beverly Hills, Marina del Rey, Rancho Park and Mar Vista. by: Westside Dental Associates at September 19, 2014 .